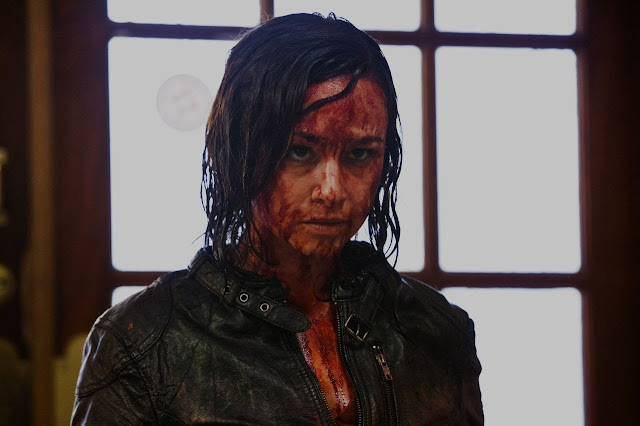 That's right, this month the amazing Danielle Harris, is my icon of the month. Danielle Harris was born on June 1, 1977 in Queens, New York and raised by her single mother, Fran. Harris is Jewish and has one sister, Ashley. Her family moved to Port Orange, Florida, when she was two, where she attended Spruce Creek Elementary School. Harris won a beauty contest in elementary school, winning a trip to New York for ten days. While there, she was offered numerous modelling jobs, but turned them down due to the fact they were all far from her home.Her mother was eventually transferred back to New York due to her job and Harris began work as a model. She also began to appear in television commercials as well. In 1985, Harris was cast in the role of Samantha "Sammi" Garretson in the ABC soap opera "One Life to Live". She stayed on the program for three years, from 1985 through to 1987. Her character was considered a "miracle child", extracted as an embryo from the womb of her recently deceased mother and implanted in a family friend, whom her father later married. Harris was seven upon receiving the role. In 1987, Harris made a one episode appearance in the series "Spenser: For Hire", portraying a girl named Tara. “It was fun for me. I knew we were making a movie and I knew that it was make believe. I was more worried about being a good, little actress and being able to cry and scream really good. I think everybody made such an amazing effort to make sure that I knew that it wasn't real. In between takes we would joke around and it was just fun. It didn't really bother me until I got to be older." Harris returned the following year for the film's immediate sequel, entitled "Halloween 5: The Revenge of Michael Myers". The film was not as well received or as commercially successful as the previous entry. 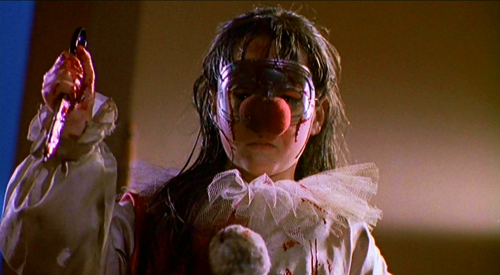 Harris portrayed Jamie Lloyd once again, but her character was mute for the first half of "Halloween 5" owing to events in the previous film. In 1990, Harris appeared in her third film, "Marked For Death". The action film, directed by Dwight H. Little, had a $2 million budget and was a box office success, earning $43 million domestically and $57 million worldwide. Despite its popularity, the film received mixed reviews. 1991 saw Harris partake in several film and television projects. She appeared in the made-for-television film "Don't Touch My Daughter", as a young girl who is kidnapped and molested. In her second made-for-television film, "The Killing Mind", Harris portrayed main character 'Isobel' as a child. Later that year, Harris made an appearance on the sketch-oriented show "In Living Color". Harris' next major role was in the 1991 comedy film "Don't Tell Mom the Babysitter's Dead", in which she portrayed 'Melissa Crandell', with the story revolving around five siblings whose mother goes to Australia for three months, only to have her children's babysitter die. The young protagonists choose not to tell their mother and attempt to live on their own. The film received mixed to negative reviews. Harris had a guest role in the 1991 series "Eerie, Indiana", portraying a central character in the seventh episode. Her character, 'Melanie', receives a heart transplant and later begins to act like the heart's original owner. She also guest starred as 'Susie Maxwell' in an episode of "Growing Pains". Harris had the role of 'Darian Hallenbeck' in the 1991 action film "The Last Boy Scout", alongside Bruce Willis and Damon Wayans. The film grossed $7,923,669 in its opening weekend, and the total gross was $59,509,925. Reviews were mixed, and some critics cited the Christmastime release for such a violent film as a reason for its somewhat underwhelming box office. During the next three years, Harris began making guest appearances in various television series and films, with fewer theatrical releases. She appeared in the pilot for the potential CBS series "1775", although it was not picked up. Starting in 1992, Harris had a recurring role on the comedy series "Roseanne", portraying Molly Tilden in seven episodes. In 1993, Harris again worked with "Roseanne" star Roseanne Barr in the made-for-television film "The Woman Who Loved Elvis", this time as daughter 'Priscilla'. She appeared in the series "Jack's Place" the same year, portraying a young woman named 'Jennifer' in the episode titled "True Love Ways". A notable theatrical film role at the time was that of 'Gwenie' in the popular "Free Willy", of 1993, which had a domestic gross of $7,868,829 in its opening weekend and went on to make $77,698,625 domestically and $76 million in its foreign release for a total $153,698,625 worldwide. In 1994, she appeared on the drama series "The Commish", playing the role of 'Sheri Fisher' for one episode. The same year, Harris portrayed the main character's daughter 'Jessica' in the made-for-television film "Roseanne: An Unauthorized Biography". The biopic was based upon her former co-star Roseanne Barr. Also in 1994, Harris appeared in an episode of teenage sitcom "Boy Meets World". Harris was stalked in 1995 by an obsessed fan, Christopher Small, who wrote letters threatening to kill her. Small was later arrested after bringing a shotgun and a teddy bear to her home. On January 29, 2007, Harris appeared on an episode of "The Dr. Phil Show", sharing her experience with other equally affected people. The stalker was obsessed with 'Molly', her character on the TV show "Roseanne". In October 2009, Harris was granted a restraining order against Small, who began sending her messages on Twitter. Also In 1995, Harris learned that producers of then-upcoming "Halloween: The Curse Of Michael Myers" were looking for a new actress to play the role of 'Jamie Lloyd', which Harris had originally portrayed since the character's introduction. Upon investigating, Harris learned that they wanted someone over the age of 18, and she was only 17 at the time. After talking with the producers, Harris got emancipated in order to appear in the film. Upon reading the script, Harris was not happy with the fate of her character, who was killed early into the proceedings. Harris was also dissatisfied with the salary they offered her, as it did not even cover the cost of her emancipation. She ultimately abstained from reprising her role in this film and was replaced by J. C. Brandy. Harris has since admitted to being glad she did not rejoin the series at this point, believing that her decision allowed her to make her later return in the 2007 remake of the original "Halloween". Still, Harris can be seen in versions of "Curse" that incorporate the previous film's ending. In 1996, Harris starred alongside Katherine Heigl in the made-for-television film "Wish Upon A Star". Harris plays Hayley Wheaton, a girl who switches bodies with her older, more popular sister Alexia with whom she does not get along well. She also appeared in the film "Shattered Image" alongside Eric Balfour. She went on to appear in the film "Back To Back", which received a television release in the US in 1996. Harris had a supporting role in the Stallone film "Daylight", released the same year. "Daylight" received mixed critical reviews, and did not perform well in the United States and grossed below expectations. While "Daylight" made $33 million in the US, overseas it took in over $126 million, resulting in gross earnings of $159,212,469 worldwide. In 1997, Harris appeared in two episodes of the medical drama "ER" as 'Laura Quentin'. Harris had the lead role of 'Lulu' in the 1998 film "Dizzyland", in which she portrayed a sexually abused teenager. Harris also appeared in an episode of "Diagnosis: Murder" in 1998. She then appeared in the popular slasher "Urban Legend", her first horror film since her initial "Halloween" outings. She portrayed 'Tosh', a goth girl who is murdered while her room-mate is resting on the other side of the room. Harris continued to make various film and television appearances while doing "The Wild Thornberrys". She was in a 1998 episode of the series "Charmed", portraying a teenage witch named 'Aviva'. Harris also starred in the film "Goosed" in 1999, as protagonist Jennifer Tilly's younger self. She also appeared as 'Justine' in the made for television film "Hard Time: Hostage Hotel", directed by Hal Needham, had a supporting role in the crime and comedy film "Poor White Trash" come 2000, and went on to star in the 2001 comedy "Killer Bud". Between 2000 and 2002, Harris was a cast member of the series "That's Life", which ran for two seasons. Her character, 'Plum Wilkinson', featured in 28 out of 32 aired episodes and was involved in a romantic relationship with Kevin Dillon. Harris later appeared in an episode of "The West Wing", as 'Kik'i. In 2003, she had a supporting role as 'Leila' in the made-for-television film "The Partners". 2004 saw Harris in the theatrically released films "Debating Robert Lee" and "Em & Me". From 2004 to 2005, Harris was a main cast member of the computer-animated sitcom "Father Of The Pride", appearing in all 14 episodes. "It is something that I wanted to do because everyone's like, 'Oh, she's little Jamie. She's 14. And it's like, no, actually, I'm 30. It's something that I've never done before." 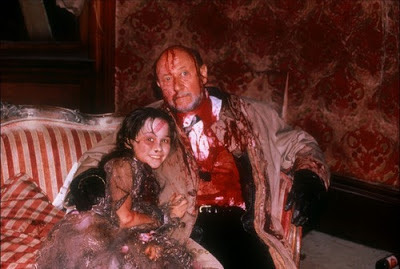 “I had a harder time emotionally with Rob Zombie's "Halloween" and "H2" than I did when I was a kid. When I was a kid, it was totally fun and I didn't understand when I did Rob's "Halloween", why it was so hard for me to shake it off. I'm like, I'm an actress! Why am I getting a feeling like I want to cry? This is weird! I did enough crying when I was there on set. I don't know why I'm still feeling this way. I think it was because it was the first time I was ever physically touched by him. As a little girl, as 'Jamie', he never got me, ever. Now as an adult, I don't have my clothes on, doing scenes I've never done before as an actor, and I'm actually being attacked. Even though I should know the guy by now, it's still a weird thing that happens with your psyche I think." Harris reprised her role as 'Annie' in the 2009 sequel "Halloween II". "Halloween II" was officially released on August 28, 2009 in North America, and was met with negative reception from most critics. On October 30, 2009 it was re-released in North America to coincide with the Halloween holiday weekend. The original opening of the film grossed less than the 2007 remake, with approximately $7 million. The film would go on to earn a worldwide total of $39,318,589. Beyond her return to "Halloween", Harris has continued to ascertain a scream queen identity with growing genre credits. She starred alongside Lance Henriksen, Bill Moseley, AFI's Davey Havok, and Battlestar Galactica's Nicki Clyne in the Illustrated Film series "Godkiller". For Fearnet, she hosted "Route 666: America's Scariest Home Haunts". Her films "Godkiller" and "Blood Night: The Legend of Mary Hatchet" saw DVD release by the time "Fear Clinic", a Fearnet original web series featuring Harris as well as Robert Englund, Kane Hodder, and Lisa Wilcox, made its debut the week of Halloween 2009, and her own upcoming horror resources website, horrorgal.com, was announced. She can also be seen as 'Felicia Freeze' in the comedic superhero film "Super Capers", and alongside Robert Patrick in "The Black Waters of Echo's Pond". Beginning with 2010's "Hatchet II", Harris has taken over the leading role of 'Marybeth' in the Hatchet series, after Tamara Feldman declined to reprise her character. Further such credits include Jim Mickle's second feature film, the vampire/post-apocalyptic epic "Stake Land", "Cyrus: Mind of a Serial Killer", "ChromeSkull" and Michael Biehn's "The Victim", in addition to providing the voice and basis for a computer-animated 'Barbara' in "Night of The Living Dead: Origins 3D", director Zebediah de Soto's prequel/re-telling of George A. Romero's 1968 original. She is set to star in William Forsythe's directorial debut, the vampire film "New Blood". Harris' own directorial debut is the horror comedy "Among Friends", in which she also makes an appearance. It has been picked up for distribution by Lionsgate and is due to be released in 2013. At the young age of 36 she still has a-lot to offer us and I for one am excited for what she has to offer us in the future. Is Horrors Popularity Hurting The Genre? Fear Clinic Needs Your Help!